A couple stole more than £1,000 from an elderly friend’s bank account after swiping his debit card. William Ward, 59, and Sharon Vinter, 48, took £1,040 out of Robert Fairburn’s account on seven occasions in the space of a fortnight in February and March, Leeds Magistrates’ Court heard. 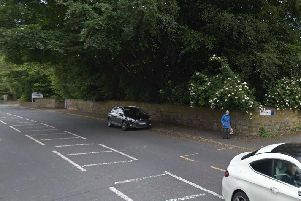 The court heard the couple, of Newlands Drive, Morley, occasionally visited pensioner Mr Fairburn, who lived alone, for coffee and helped with tasks including shopping. Prosecutor Mark Haigh said they took his bank card on several occasions to withdraw amounts of between £10 and £500. “This was ultimately discovered by his carer,” he said. The couple were unable to offer an explanation as to why they had committed the thefts. They said they spent the money on food and shopping. The couple were ordered to pay £1,040 in compensation and £170 costs as well as carry out 120 hours of unpaid work each as part of a community order.